Those nails are amazing! I would love for mine to look like that tomorrow. Oh my word. I love the idea for your nails. I have to try that! Have a great time NYE! These are all wonderful things! The hot air balloons sound like so much fun, and the glittery nails... perfect! Enjoy the last few days of 2011, and I hope your new year starts of great! Yes, that nails!!! Like everyone else said. Cute cute cute. How fun to watch hot air balloons! We don't have any in our town. And I LOVE sparkly nail polish :) Happy New Year! LOVE the hot air balloons! Sunrise and Sunset, it is so fun to see them flying around! Hot air balloons!? Where can I see those? Those nails are so cute; have to try that. I have got to try that nail polish idea! Genius, my friend! It kind of needs it's own post. :) Have a great holiday! 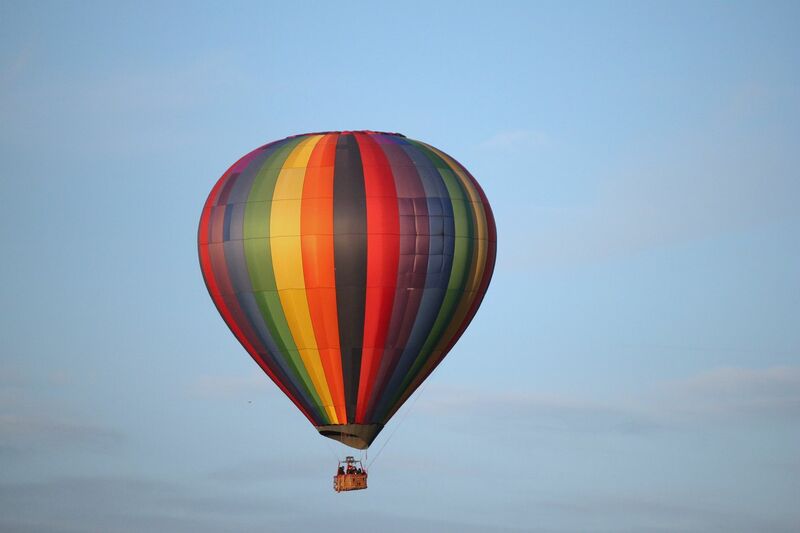 What an awesome picture of the hot air balloon! :) I love those nails...so fun for NYE! :) I hope you have a wonderful New Years and so thankful to have found your blog and follow along with you! Aw, aren't the hot air balloons the BEST out here! And LOVE the gold glitter nails!! Too sweet of you for the link back my friend. xo!! Katrina- your welcome! :) love your blog! those are great looking toms! and i love your glittery nails. have a great new years lindsay! Happy New Year Lindsay! Glad we got know each other in 2011 & a ginger spritzer sounds awfully nice & refreshing. Cheers! I just did my nails like that for NYE. Love it! LOVE your nails AND those TOMS!! ahh, soooo cute!!! Thanks for finding me! I love your gold nails! I've always wanted to ride a hot air balloon. Have you? That nail color looks amazing. Wishing you a happy New years!! ADORE adore adorable post! Cool idea, clear nailpolish and then add your own glitter, clever! And I've been wanting to try Emenence, you like? 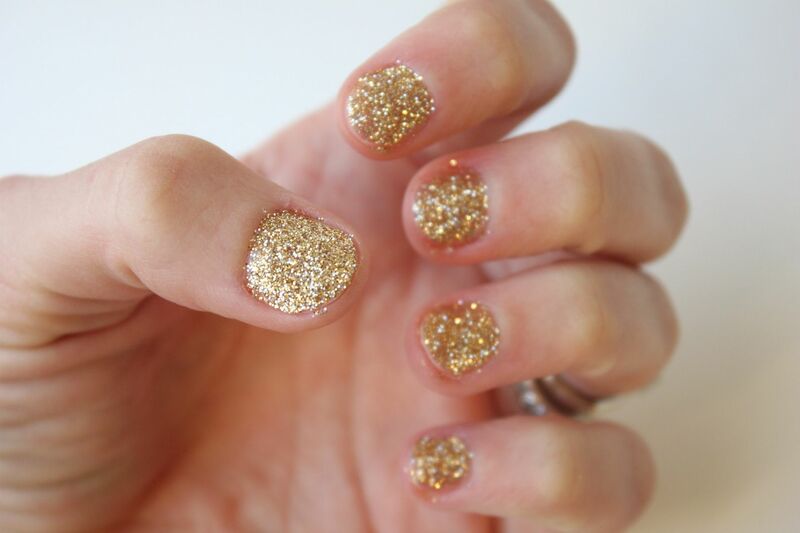 I love these nails for NYE! Ahhh I love the Toms!!! I love how you refreshed your blog. LOVE IT. Totally love the glitter nail polish! Did that for NYE too. Great minds think alike! Ha. Happy New Year! 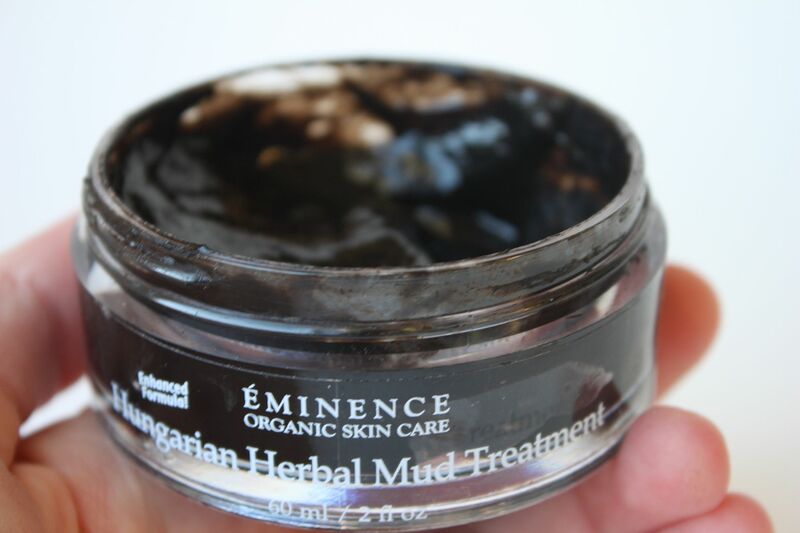 How fun to do an at home mud mask. And I can't wait to get a pair of TOMS! It's my 10 pound goal I set for myself in November. I'm only a couple of pounds away! 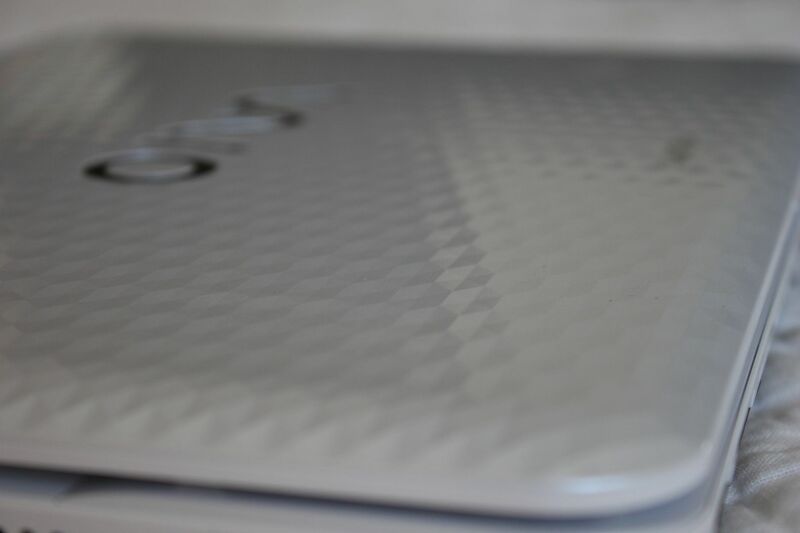 We have the same laptop, yay! I love that glitter nails tutorial! The glitter is so much more noticeable than just with regular glittery polish!